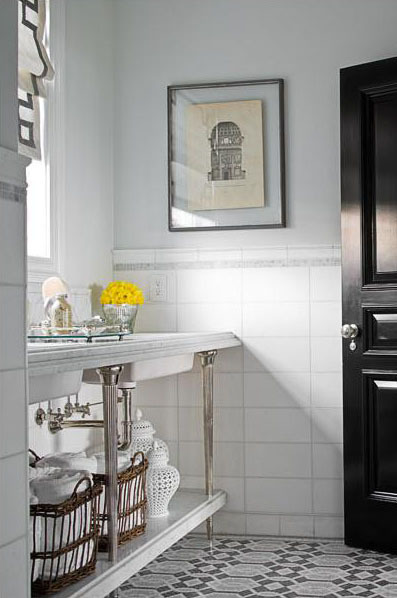 This gorgeous bathroom has been in my inspiration files for awhile now. 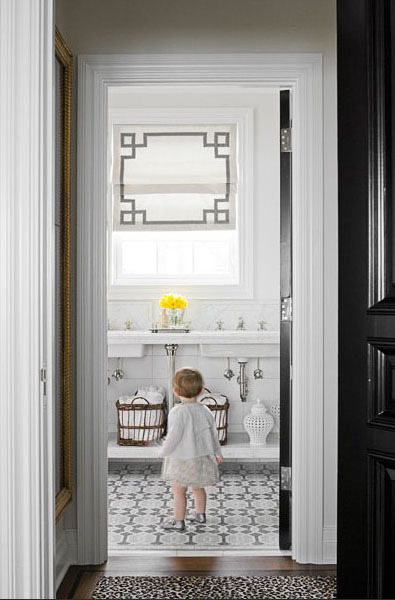 I'm drawn to so many elements here... beautiful tiles, amazing roman shade, perfect fixtures, baskets full of white towels and a glossy black door. I am sold on it's timeless beauty. The adorable toddler fits right in with her stylish ensemble!